The mobile units of the State Police, which have a strong military training, are a ready-to-use resource for the protection of public order in case of riots or violent demonstrations and for intervention in areas affected by natural disasters.The mobile units of the State Police, which have a strong military training, are a ready-to-use resource for the protection of public order in case of riots or violent demonstrations and for intervention in areas affected by natural disasters. In some of the most dramatic events in recent Italian history, such as the flood of Florence and the terrible earthquake of L'Aquila, they have been used in the important work of anti-looting, preventing further damage to people involved in the tragic events. 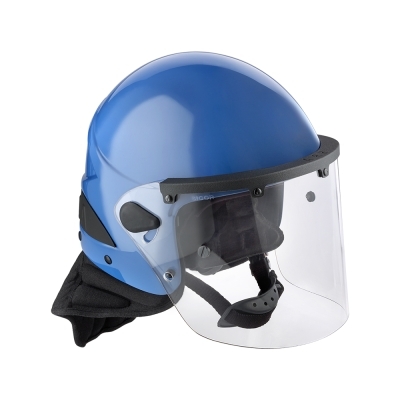 Anti-riot gear consists of several elements, although it must remain light, simple and fast to wear and at the same time able to protect against assaults, kicks, punches and blows. 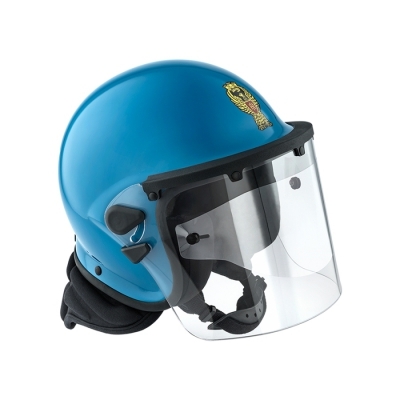 Sicor has specially designed a high-performance anti-riot helmet to protect the user against sharp objects and the launch of chemical or flammable materials.